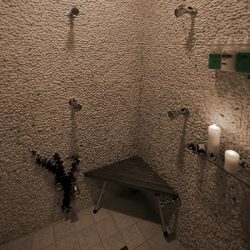 Steam in your own personal heat oasis, as you are invigorated with the power of eucalyptus. Then rinse to perfection with nine powerful jets pummeling sore and tired muscles. Red Sun: Detox with Ginger, Sedona Mud, 21 Mineral Salt Soak & Roibus Tea. 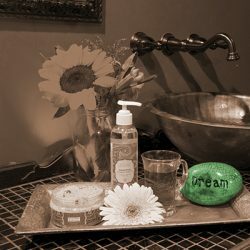 Green Mountain: Invigorate with Seaweed, Eucalyptus, 21 Mineral Salt Soak & Green Tea. White Moon: Refresh with Citrus, Sedona Mud, White Tea blossoms & 21 Mineral Salt Soak. Lavender Field: Soothe with Soy Milk, Organic French Lavender, 21 Mineral Salt Soak & Earl Grey Tea. 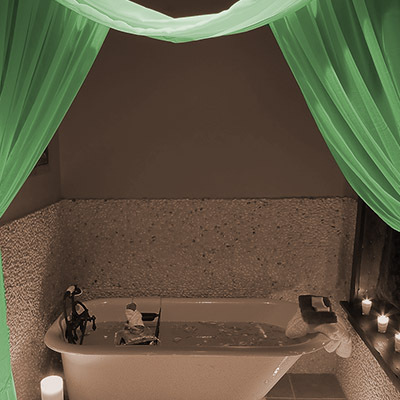 Moroccan Mint: Uplift with hydrating Chocolate, Peppermint, 21 Mineral Salt Soak & Moroccan Mint Tea.